Watch the world go by on a relaxing river cruise and take in a hat-trick of scintillating capital cities. Vienna, capital of Austria is renowned for imperial palaces, stirring music, café culture and the splendid architecture that brings the city’s history to life. Budapest, capital of Hungary has a rich artistic and cultural heritage and is split by the River Danube into the hilly Buda district and the flat Pest area. Hop aboard the funicular that runs up Castle Hill to Buda’s Old Town and don’t miss the city’s Matthias Church that stands proudly in Trinity Square. The Slovakian capital of Bratislava is watched over by a commanding castle with four corner towers and its soaring Michael’s Gate has been lovingly preserved from the city’s medieval fortifications. Visits to the simply adorable little towns of Durnstein and Melk add an enchanting contrast to the cityscapes and are a delight to wander around. Sorry, there are no single cabins available on this ship. Offer is subject to availability. We journey to Newcastle for the overnight DFDS ferry to Amsterdam enjoying dinner, entertainment and breakfast on board. We continue to our overnight dinner, bed and breakfast stop. We travel to Linz, the third largest city in Austria where we board the MV Esmeralda. Our adventure begins as we set sail for Vienna, enjoying the onboard hospitality and taking in the glorious scenery. We arrive in Vienna where an overnight stop in this picturesque city allows plenty of time to take in the sights, sounds and nightlife. 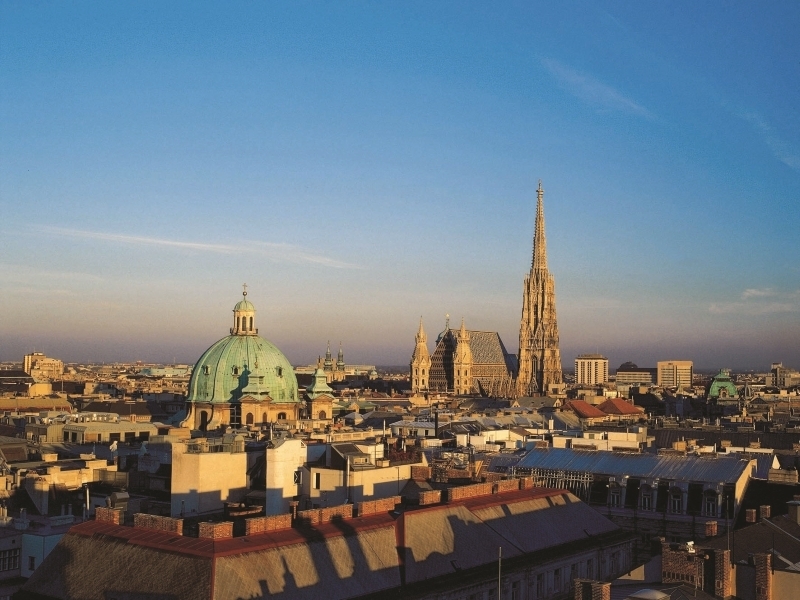 Explore Vienna at your own pace. Must sees include Schonbrunn Palace, St Stephen’s Cathedral, the glorious Rathaus, opulent Belvedere Palace with its royal apartments and gardens, the Hofburg Imperial Palace and the Heroes Square that stands in front of this eminent building. Arriving in Budapest this morning, you’ll be eager to get out and about for some sightseeing. Impressive landmarks in this fine city include the Fisherman’s Bastion, Matthias Church, Chain Bridge, St Stephen’s Basilica, Szechenyi Thermal Bath and the elegant Parliament building. Depart Budapest early evening for overnight sailing. Michael’s Gate, the pretty pastel painted Blue Church and the neoclassical Primatial Palace. A relaxing day messing about on the river until we reach the picture postcard walled town of Durnstein mid afternoon. Enjoy a stroll around this endearing settlement where you’ll find the ruins of a castle that once held Richard the Lionheart prisoner. Arriving at the Austrian village of Melk this morning, perhaps you’d like to visit the Benedictine Abbey or the remarkably preserved Schallaburg Castle, handsome pilgrim church or just soak up the laid back vibes in the fairytale Old Town. We depart this afternoon for Linz. We disembark and make our way to our dinner, bed and breakfast hotel. Our travels continue to the overnight ferry where we enjoy dinner, entertainment and breakfast on board.